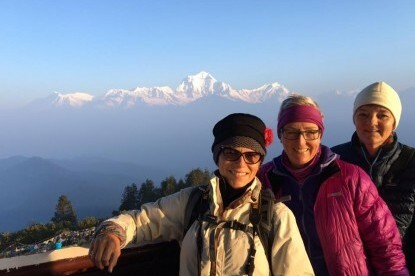 Kathmandu, Nagarkot, and Chitwan tour in Nepal is the combination of cultural, historical sites of the Kathmandu valley, a scenic excursion of Nagarkot and wildlife safari trip in Chitwan National Park. Since the tour covers the most significant places, this tour in Nepal gives you total fun and pleasure. The trip begins and ends in Kathmandu, with visits to the major UNESCO heritage sites in Kathmandu, Patan and Bhaktapur city of the valley. During the safari in the Chitwan, you will be accompanied by expert naturalists who will advise on safety procedures and we request you to respect their judgment at all times. wish to stroll in the forest alone, a guide will have to accompany you for your safety. You will realize there is much more to do in Nepal. If you have specific requests to see things not included in the given itinerary, wish to contact professional peers in an informal setting, or pursue other ventures, please let us know so that we can easily accommodate it in the itinerary or add extra days to this itinerary to meet requirements. Late morning transfer to the airport for your onward flight or continuing on with other explorations in Nepal. We pick you up from the Kathmandu International Airport upon your arrival and transfer you directly to Nagarkot on a rim-top. 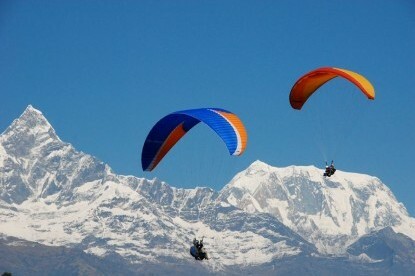 Nagarkot gives the opportunity of exploration of its village. You will stay in a most comfortable Hotel or Resort from where you will see the stunning view of the Himalayas. This is an ideal place to relax and observe typical rhythms of life in Nepal. We drive you back to Kathmandu showing you Bhaktapur, the ancient city of Nepal listed on the UNESCO World Heritage Site. The city was once a separate kingdom that holds on to an architectural and design spirit of a feudal state focused on artistic and religious respect. You may take time to observe the shops, potters, brass-makers, religious artisans, and spice merchants carrying out their professions as they have done here for hundreds of years. This is the best place in Nepal to shop for souvenirs. After arriving Kathmandu, you will find a diverse range of cuisine in one of the restaurants within the walking distance of your Hotel. Thamel is close to the major architectural and religious sites. The rest of the day is free to explore around on your own. After breakfast, we drive you to Chitwan passing by interesting villages and sceneries along the way. Upon arrival at the Resort/Camp, refreshment drink is served and the manager will brief you about the program and activities of the following days. After a short rest, visit the Tharu museum and the National Park Visitors Center as briefed. Nature Guide will lead your trip of the day; canoe trip followed by a Nature Walk Program or a visit to the Elephant Breeding Farm. You can wash the elephants and swim with them in the Rapti River, Lunch. Elephant back safari, Dinner. Enjoy jeep drive back to the resort. Tharu dance performance. Return to Kathmandu by air or surface. You will get a glimpse of village life in the southern plains of Nepal. On arrival in Kathmandu, the rest of your day is free to explore on your own. You will have a morning guided tour of Boddhanath and Pashupatinath. Commonly known as monkeys temple, Boudhanath is a great white half dome with the Eyes of Buddha painted on it and is one of the most famous cultural images of Nepal. It is a site of very active worship that you can encounter such a concentration of varied Buddhist activities. You will visit one of the holiest and respected of all Hindu temples, Pashupatinath. Non-Hindus are not allowed inside the golden-roofed pagoda-style temple, but you can glimpse the great gold bull through the doorway. A great pilgrimage occurs here in February, attracting Hindu ascetics and devout worshippers from all areas of the Hindu world. Monkeys are everywhere around the grounds, riverside cremations are often taking place and there is always a colorful group of ascetic pilgrim visitors encamped in the general area. Last minute shopping or exploration in Kathmandu. 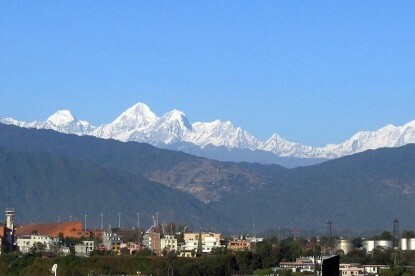 If the time permits, you will be taken to Kathmandu Square for your sightseeing. We transfer you to the airport for your onward journey.